Cap Cana: Dominican Republic's New Tropical Paradise | UNIGLOBE Direct Travel Ltd. Whether you crave soft white sand beaches, lush natural landscapes, dazzling turquoise waters, adventure or romantic intimacy, you will find it at Cap Cana - the perfect tropical getaway. Whether you crave soft white sand beaches, lush natural landscapes, dazzling turquoise waters, adventure, luxury indulgences, or romantic intimacy, you will find it at Cap Cana - the perfect tropical getaway. 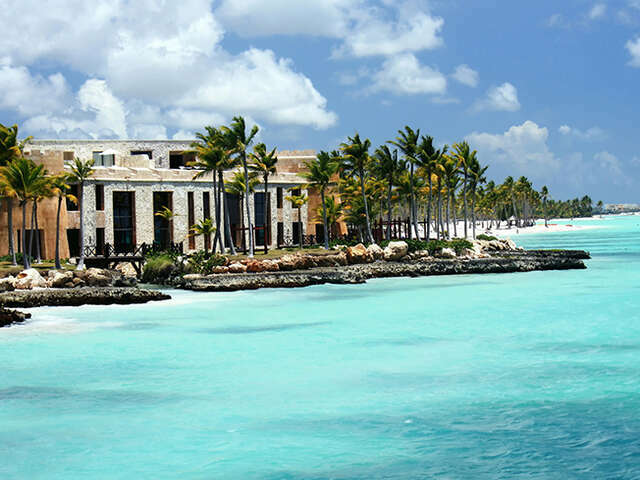 Cap Cana is ideally located 10 minutes from Punta Cana International Airport on the Eastern tip of the island, on 30,000 acres of unspoiled lush coast with spectacular waterfront views and 3.4 miles of pristine white sand beaches that stretch as far as the eye can see.